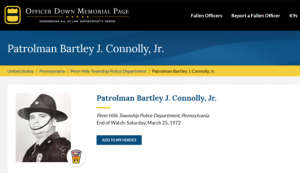 On Saturday, March 25, 1972, Sergeant William Schrott and Officer Bartley Connolly Jr. were killed in the line of duty while serving with the Penn Hills Police Department. 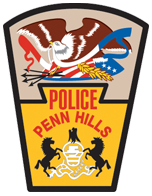 They were the first Penn Hills police officers to lose their lives in service to our community. 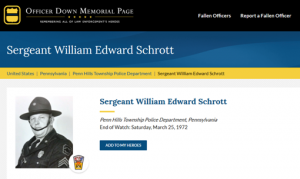 Sergeant Schrott and Officer Connolly will always be remembered for the ultimate sacrifice they made serving the residents of Penn Hills. Our thoughts and prayers are with their families on this 47th anniversary of their passing. ‹ Celebrating a Milestone and Welcoming the Future of the PHPD!